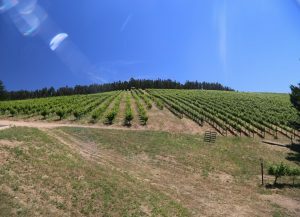 Lampyridae Vineyards – Talk about vineyards with a view. The highest block of Lampyridae Vineyards reaches an elevation of 2,510 feet above sea level on the uppermost slopes of Mt. 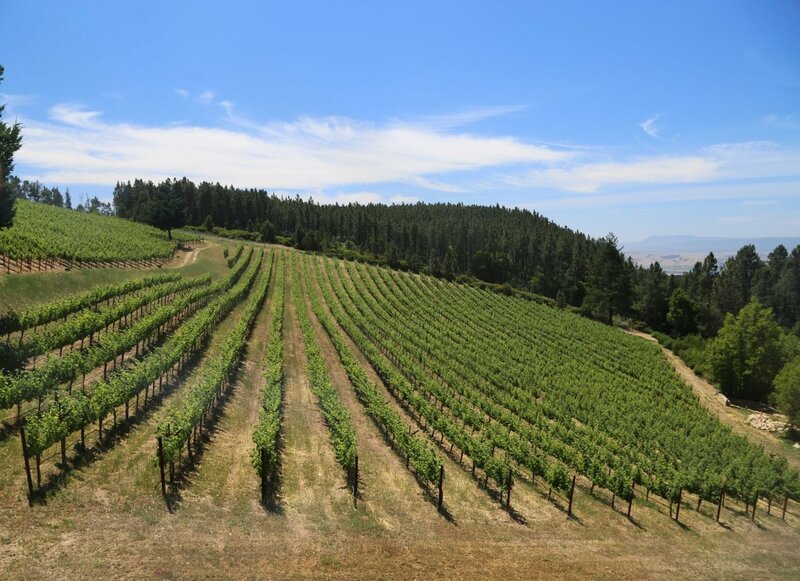 Veeder; this is the highest vineyard above the floor of the Napa Valley – there is only one other vineyard higher in the entire county – the Blue Ridge Vineyard in the south eastern part of the county tops out several hundred feet higher at around 2,700 feet. John and Ashley Derr both have backgrounds in agriculture. John moved to the valley in 1993 and took a job with Crop Care Associates, a local agricultural technology consulting firm. Ashley was researching insects (Entomology) for the University of California and later worked as an assistant to the Napa Valley Farm Advisor. John has worked for Pina Vineyard Management company for a number of years – the Pina’s manage around 800 vineyard acres in the valley and as a result, they have both a broad and detailed perspective of Napa’s vineyard terroir. In 1996 John brought the Pina’s to what would become Lampyridae Vineyards to assess the feasibility and economics of developing a vineyard at this remote location. At the time this was going to be one of their most challenging vineyards to develop. And despite being merely several miles as the crow flies from the floor of Napa Valley, this was and still is truly a remote location – its just not that easy to get to. Developing the site was not going to be simple – the road into the site was a mess – 4wd, muddy during the winter, dusty during the summer especially during the late afternoon when winds often picked up. The uppermost slopes of Mt. 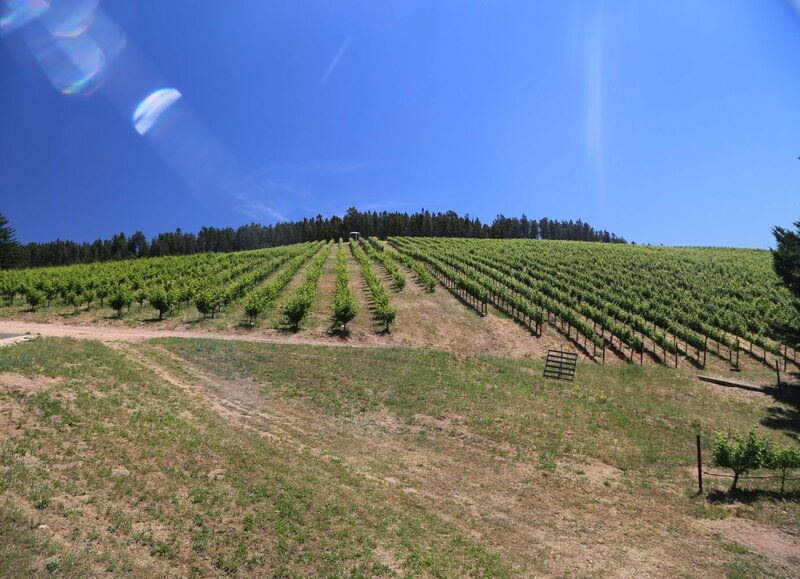 Veeder are like looking at a rock pile – the soils are very shallow, rocky and low in nutrients. Significant rock piles around the vineyard are testament to what came out of the “soil” before planting. The rockiest parts of the vineyard literally had to be jack hammered in order to plant the vines. But the views are amazing and historically certain parts of the mountain already had proven vineyard terroir; wine grapes have been grown on Mt. Veeder since the early 1860’s. Ultimately it came down to time and money – time of which they had plenty of, money – fortunately it was right before vineyard terroir in Napa Valley significantly escalated in price. The first year they lived on the property was a challenge – there was no electricity. Then in 2000 they lost the the production from the existing well on site – a moderate earthquake hit under Mt. Veeder and their well dried up and a nearby spring was also affected. Today their new well drops down 700 feet and they now have ample water for the vineyards. With John’s knowledge and interest in vineyard management he decided to experiment and determine how dry farming would affect a small part of his upper vineyard. He selected 5 rows and stopped watering them in 2007. They have survived but their production is extremely hindered – producing very small clusters and berries. He learned that to date, at least some water addition is still critical for the vines on these rocky shallow well draining slopes. The property is 35 acres with 11 acres to vine and is planted to Cabernet Sauvignon, Syrah and Zinfandel. 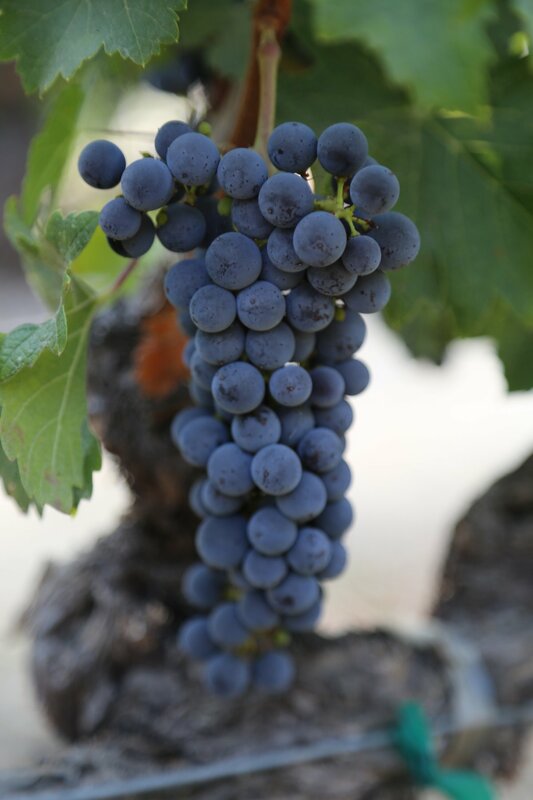 Their Zinfandel block contains the first grapes they planted on site in 1998. This block is entirely head pruned while the rest of their vines are on trellising. Since John has a background in vineyard management and his day job is working for Pina Vineyard Management, it makes sense that he manages the vineyard himself along with several workers. 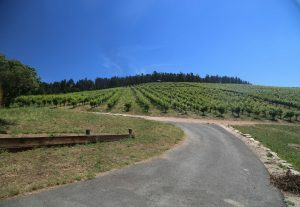 Their grapes have been sold to premium producers including Beringer (for their reserve program). Beringer thought so highly of the site that they had a contract prior to the grapes even being in the ground. Because of the elevation and proximity looking out over the bay in the “bay area” – the growing conditions here are moderate. They don’t have nearly the heat spikes that you might find during certain times of the year at the lower elevations. For example in the summer while its foggy below with a temperature in the 50’s during the morning – their vineyard site will be in the sunshine and at temperatures in the 70’s. Later in the day as the fog rises and it warms up below, their property will remain fairly temperate. www.napavalleykidsconnect.com ) – a program she formed to bring these special services to the valley. In order to maintain the level of support and services for these children fundraising is an essential component. Looking for a way to raise money they realized they could hold back some of their fruit and make their own wine. Wines from their grapes had earned accolades and pleasing scores from wine critics for the better part of a decade. They knew they had good fruit. Winemaker Aaron Pott (also has his own vineyard on Mt. Veeder) donates his time and equipment – and other donations of materials and supplies have come from the community including corks, bottles and labels. All proceeds from the sales of their wine directly benefit Napa Valley Kids Connect. Their first release was from 2009 – a 66% Syrah and 34% Cabernet Sauvignon blend. 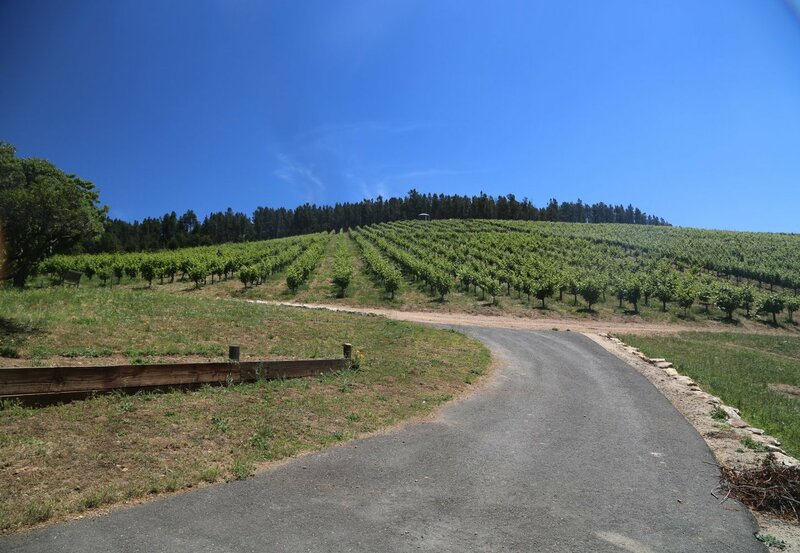 The core of their wine is from what they call the Communication Block – a slightly more than half an acre of Cabernet Sauvignon growing towards the upper most part of their vineyard – a few minutes walk to to the true summit of Mt. Veeder (still marked with a geological survey marker from 1929). Their 2009 Red Wine is slightly above 15% alcohol but is crafted so that the higher alcohol is not noticeable within the wine – the Derr’s appreciate the acidic backbone that grapes from their property produce in wines. This wine certainly has a mouth watering acidity. The nose is elegant and dominated by red fruit aromas including cranberry, raspberry and initially a puff of dust or a gravel component. As the wine breathes more red fruit dominates. The mouth feel is soft upon entry with broadly distributed and fairly fine tannins anchoring a long finish. Ashley has a background in entomology (studying insects) and the name “Firefly” was initially proposed but a large entity was already selling wine under this name. Reaching to her past studies she came up with Lampyridae – the Latin word for a “family” of insects commonly called fireflies. This ties in remarkably well with their location. At night they can look down on much of the “Valley of the Moon” in Sonoma County and see the twinkling lights from each of the towns far below.